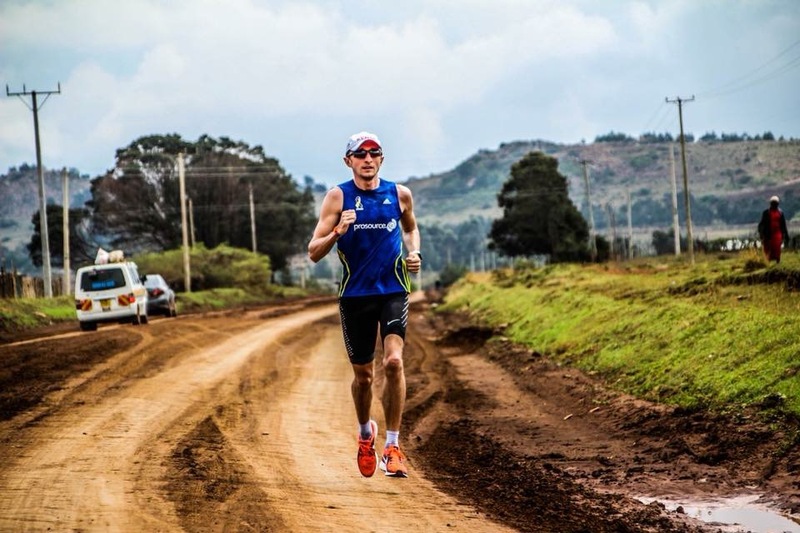 This blog discusses effective use of GPS watches and heart rate monitors for distance runners. In this day and age data is everything. Our smart phones, watches and activity trackers provide us with more facts and figures than we know what to do with, taking the time to understand what is useful and what we should take with a pinch of salt is worth doing. In this blog we talk about how to use your smart watch to get the most out of your training, which metrics you should pay attention to and how to use the data on your wrist to your advantage. The vast majority of runners today own some kind of activity tracking watch, from recreational runners to Olympians. Be it a budget tracker such as a FitBit, or a top of the range all singing and dancing Garmin Fenix, the data we are provided with can help us better understand our training and thus improve performance. Let’s take a look at some of the basic metrics offered by most smart watches. This is, in my opinion, the most important metric for any runner and if used correctly can provide some really valuable information during and after your run. However, knowing when and how to use this information to help enhance your training can be tricky, and if used in the wrong circumstances it could even be a hindrance. One of the key workouts for distance runners where the ‘pace’ metric is extremely useful is threshold running. 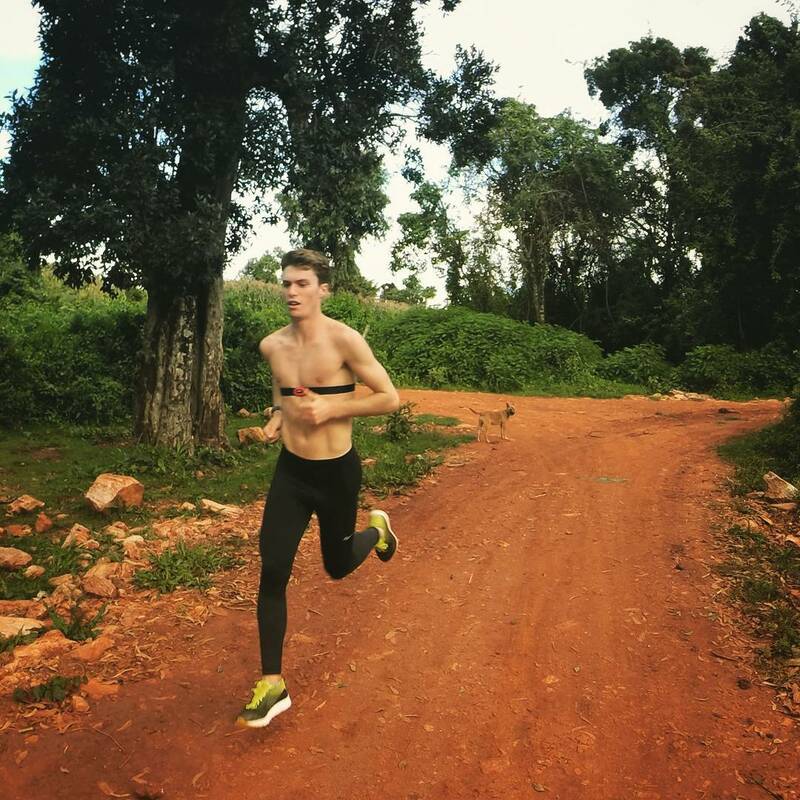 If you are new to threshold running or don’t know what that is then check out coach Hugo’s blog on Lactic Threshold Running here. Getting your pace right is key to achieving the desired goals of a threshold run. If you go out too hard you will not be able to clear the lactic acid in your muscles and you will be working above your ‘threshold’ and will be forced to slow down later in the run or even terminate the workout early. Go out too slow then you will not be stressing the body in the desired way and again, the goals of the training will not be met. Both going out too fast and too slow are extremely easy to do and you may not even realise until it’s too late. However, having your watch with the pace displayed for you to see makes it much easier for you to stick to the speed that you know you are capable of. Coach Hugo doing some pace making. It also means you can easily make adjustments in your training. For example, say you went out and attempted a threshold run of 5 miles at 7.00/mile pace. You started at this pace and felt ok but by mile 3 you were suffering and slowed down to say 7.30/mile. Next time you will know that 7.00/mile is too fast, perhaps start at 7.10/mile instead and try to maintain this all the way to the end. There are usually a couple of options on your watch concerning how the pace is displayed. You can either see a real time display of what your pace is right now, or you can see your average pace. For a threshold run I always set my watch to display average pace. I find that ‘real time display’, even on the more quality watches, just fluctuates too much and I get too caught up with what the numbers are saying. Average pace however allows me to glance at my watch occasionally and check that I’m still on track. I also have it alert me every mile to say what time I covered each mile in and this is usually the only time I check my watch. I feel like doing it that way makes the data easy to digest and means I don’t check it too often and risk reacting to fluctuations which are more to do with the GPS sensitivity than my actual pace. Reacting to that is a great way to waste energy! The pace metric can also be very useful during interval training. Again, it is very easy to go out too hard and ruin the rest of the session by flooding your body with lactic acid on the first effort. Having the pace handy to look at will give you an early warning sign if you’ve gone out too fast for what you know you are capable of maintaining. The only time I won’t use the pace metric for interval training is on the track; With makers every 100m it’s fairly easy to tell if you are going too fast or slow. I find a normal stopwatch is perfectly adequate for track workouts. For easy and recovery runs using the pace on your watch can have its positives but there are many mixed opinions out there on this one. I know several people who prefer to do their easy runs going purely by how they feel; If they feel tired they’ll slow down, if they feel great they’ll speed up. I also know several people who know what their ‘easy run pace’ is and they will go out and run exactly this pace however they feel. Personally I am somewhere in the middle, I have a target easy run pace, this the pace I know I should be able to run comfortably at (as judged by my experience and my coaches guidance) and I usually try to hit that. However, if I’m feeling particularly tired or particularly good, I won’t hesitate to adjust this pace accordingly. Flexibility is key here. Top end watches these days offer loads of other metrics, some of which can be quite useful and provide some good training feedback, others are just kind of cool to look at and play around with but that’s pretty much the limit of their functionality. Heart rate is another valuable metric that can be used to enhance your training if used sensibly. Most of the sports watches currently on the market either have a built in sensors that measure your heart rate from the wrist or can be paired with a chest strap that measures your heart rate by detecting electrical signals across the chest. It’s generally believed that chest straps provide a more accurate reading and also respond quicker to HR fluctuations; although some of the top end watches do have some very accurate wrist based sensors that seem to be improving year on year. Using my heart rate monitor at altitude. Many runners like to look at their heart rate readings during and after training but don’t really know what to do with the data. The hardest part about using HR data is figuring our your max HR and your ‘zones’. The most accurate way to do this is to go to a sports lab for some testing. They can pretty accurately tell you your threshold pace, threshold heart rate, max heart rate etc. But obviously this isn’t everyone’s cup of tea, neither is it cheap or convenient for most of us. Alternatively, a quick google will bring up some of the better formulas for working out your max HR based on your age and a few other factors. For most of us, this will provide a decent estimate and many watches will even do this for you. Using these zones you can run at the correct intensity to achieve the desired training goal. Think of them kind of like speed limits on the road; for example if you are doing a threshold run you should not exceed 90% of your MHR. 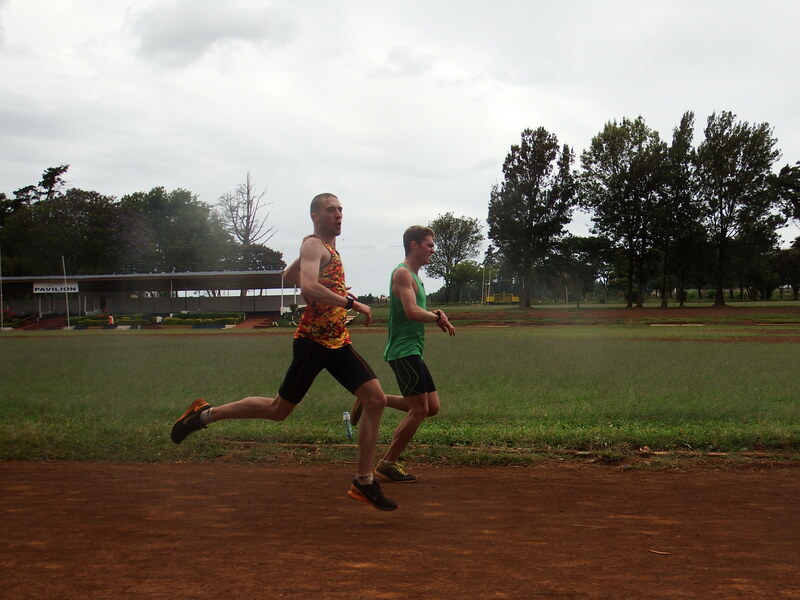 It is very important to realise that with any given training session the goal is to run at an intensity that aims to stimulate a particular physiological function. Operating at an intensity higher than appropriate for the given workout no longer achieves the desired outcome. Sometimes the opposite is true and you should check that you are working hard enough. Where HR data is really useful is when you run in different conditions, new terrain or a different route. If one week you do a threshold run at 7min/mile on a flat road with the wind behind you and the next week you decide to run on a new route with some hills, into wind, you will likely struggle to hit your desired pace. However, you should still aim to be hitting that 88-90% of maximum heart rate. If this means you need to slow down to account for the new terrain and weather conditions, then so be it. 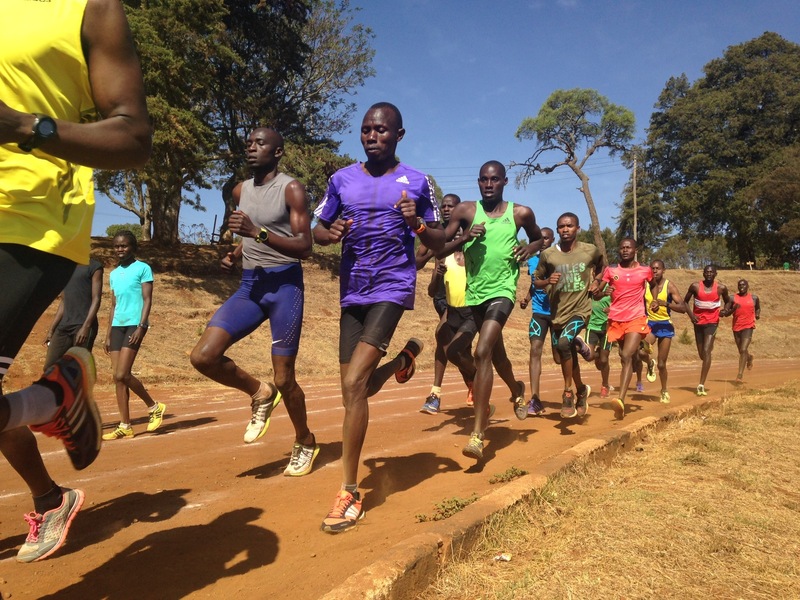 Or you might decide to take your training to the next level by going on a high altitude running camp; You can forget about trying to run the same pace at altitude as you would at sea level. But keeping an eye on your heart rate will ensure you are running at the correct intensities to achieve the desired training outcome. 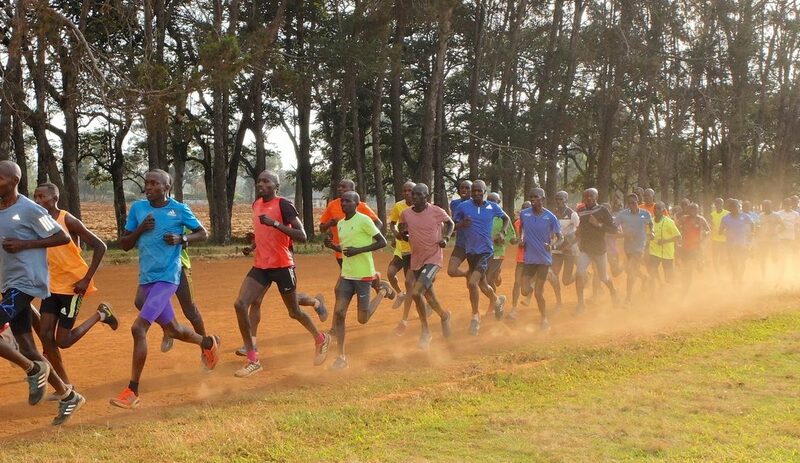 At an altitude of 8000ft such as is found in many of Kenya’s training camp locations this could mean slowing down by more than 1minute per mile if you are inexperienced with altitude. I know that many runners would struggle to accept this kind of reduction in pace but having the heart rate data there will help to reassure you that you are doing the right thing. Myles doing a threshold run at altitude. Some of the higher spec watches attempt to predict your V02max, Lactic Threshold paces and Heart Rate zones. They do this by measuring your heart rate and comparing it with the pace you are running. Every time you run the watch updates this estimate. Over time, the data gathered by the watch allows it to provide a prediction on your threshold pace and VO2max. I have a Garmin 630 and after about 4 or 5 weeks of using it for all my training sessions it gave me an estimate of my lactic threshold and VO2max extremely close to the values I was given via a sports science testing lab! The accuracy the of the watch did surprise me I must admit. These measurements can be pretty useful if you aren’t sure what pace you should be running at for these kinds of sessions. Again, these will change significantly if you are training at altitude. My watch gives me loads of other data which is cool to look at but not much real use to me. For example, average stride length, average vertical ratio, average vertical oscillation, average ground contact time, etc. I think this is just an example of how we’ve come to love data; is any of this useful? 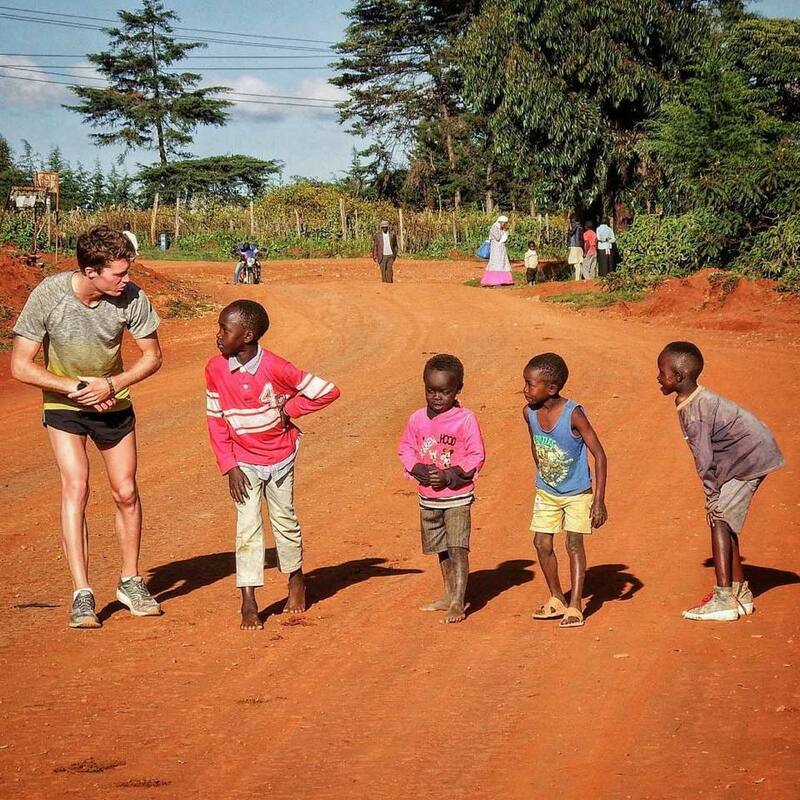 Maybe – If you really know how to use it and you want to become a world class elite runner who needs to get everything perfected down to a tee. But for the vast majority of us, most of these numbers probably won’t help us improve as runners. I’m not saying they are unhelpful, but in the grand scheme of things time spent analysing this information could almost certainly be better utilised elsewhere. Avoid the common ‘paralysis by analysis’ scenario. Some people love to go out and run without a watch, they enjoy the feeling of running without getting bogged down by time or pace. There are others who are obsessed with data, what their heart rate is at every minute of every run, how many steps they took, how many calories they burnt. In my opinion, a happy medium is the ideal for getting the most out of your running. Data is there to be used and it can provide some very useful feedback that can enhance your training. But if you start to rely on that data it can become stressful and take away from the very reason we started running in the first place! I hope you found this blog useful and now have a better idea of how to use your watch to help improve your running.